• The program is centered on nature study and seeks to develop in all of its students a love of learning, critical and independent thinking, creativity and imagination, social skills, and improved self confidence and self esteem. The curriculum includes all pre-reading and math skills appropriate for the pre-kindergarten age group and more advanced instruction for the kindergarten enrichment age group. 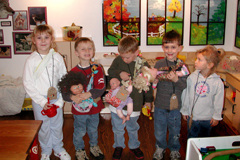 • We are a Cooperative; we are managed and run by parent volunteers. • In conjunction with the Historic Landmarks Foundation of Indiana, we are in the process of saving a structure that is historically significant to our community. Rehabbing this site will most likely save it from being torn down. The site is very important to the cultural history of the Swedish settlement known as Baillytown. It was one of four original log cabins to be built there and we are hoping to soon have it be listed on the National Register of Historic Sites. • We have a partnership with the Indiana Dunes National Lakeshore. Our current and future facilities are owned by the National Park. We have a mutually beneficial relationship: they help us by providing the resources needed to have a nature based school; we help them by promoting the park, introducing it’s great benefits to children and families in our community, and by helping them preserve a historical structure on their property. The National Lakeshore will also help the school promote environmental stewardship with special lectures, hikes, educational materials, and events. • The Field Station Cooperative is dedicated to education reform through parental involvement. 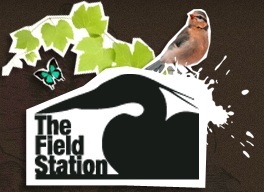 By creating a sustainable preschool that promotes environmental educational activities, the Field Station will bring the natural environment into early childhood education with the long range goal of environmental consciousness and respect for our natural surroundings for both the preschoolers and their parents. • We are currently expanding our program to include summer and after school programs for elementary aged children to give them the science and nature that they are missing out on but so desperately need.